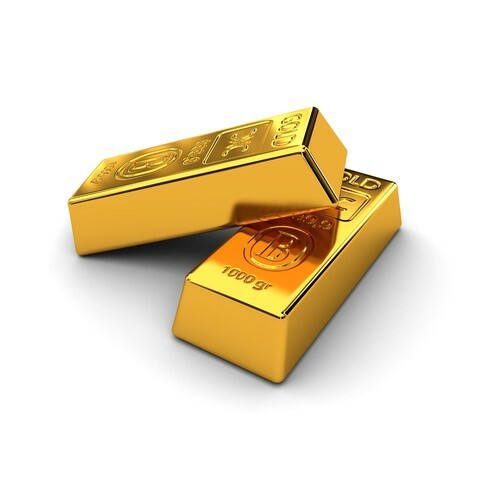 - Gold price faced selling pressure recently and declined below $1,200 against the US Dollar. - There are two bearish trend lines in place with resistance at $1,196 and $1,201 on the hourly chart of gold versus the USD. - Recently in China, the Caixin Services PMI report was released by Markit Economics. - The outcome was below the forecast of 52.7 as there was a decline in the PMI from 52.8 to 51.5. Recently in China, the Caixin Services PMI report was released by Markit Economics. The market was looking for a decline in the PMI from the last reading of 52.8 to 52.7. The actual result was below the forecast of 52.7 as there was a decline in the PMI from 52.8 to 51.5. Moreover, the Composite Output Index declined from the last reading of 52.3 to a five-month low of 52.0. Gold price recently declined towards the $1,190 support area and it is currently attempting a recovery towards the $1,200 resistance. Gold price started a downside move from well above the $1,205 level against the US Dollar. The price declined below the $1,200 and $1,195 support levels plus it also settled below the 100 hourly simple moving average. The price traded as low as $1,189 and it is currently correcting higher. At the outset, the price is testing the 23.6% Fib retracement level of the last decline from the $1,208 high to $1,189 low. However, there is a strong resistance formed near $1,196. There are also two bearish trend lines in place with resistance at $1,196 and $1,201 on the hourly chart of gold versus the USD. The second trend line is near the 100 hourly SMA and the 50% Fib retracement level of the last decline from the $1,208 high to $1,189 low. Therefore, if the price continues to move higher, it won’t be easy for buyers to clear the $1,196 and $1,200 resistance levels. On the other hand, if the price moves down, it could break the $1,189 swing low and trade towards the next support near the $1,184 level.